The Sculpture Objects Functional Art and Design (SOFA) Fair in Chicago is the premier gallery-presented art fair dedicated to three-dimensional art and design. On par with Art Basel and TEFAF Maastricht, SOFA is produced by Urban Expositions. SOFA is held annually in the fall at Chicago’s major destination, Navy Pier, with an average of 80 dealers and 35,000 people attending. Sales at the fair are estimated at 15-20 million dollars per show. 1994-Present. SOFA CHICAGO was inaugurated at the Sheraton Chicago Hotel and Towers in 1994, with 58 exhibitors and 14,000 persons attending. In 1995, SOFA Chicago moved to Festival Hall at Chicago’s historic Navy Pier. 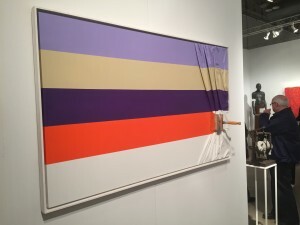 Since then, the fair has grown steadily in the number of exhibitors, averaging 85-90 galleries in recent years, and attendance has increased over 100%. The attendance has increased to 35,000 people attending over four days in recent years.